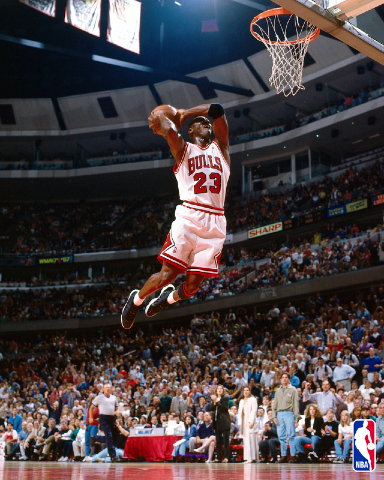 What secret to peak performance can we learn from Michael Jordan? Josh Waitzkin has become a grandmaster in both chess (the movie Searching for Bobby Fischer was about his childhood) and Tai Chi. He realized his gift wasn’t greatness in any discipline, his gift was an amazing ability to learn. In his book The Art of Learning, he discusses one of the key elements that pro athletes like Jordan use to perform at their peak: spontaneous relaxation. The pros are able to fully relax during the briefest periods of rest. This prevents them from burning out during hours of play. The physiologists at LGE had discovered that in virtually every discipline, one of the most telling features of a dominant performer is the routine use of recovery periods. Players who are able to relax in brief moments of inactivity are almost always the ones who end up coming through when the game is on the line… Remember Michael Jordan sitting on the bench, a towel on his shoulders, letting it all go for a two-minute break before coming back in the game? Jordan was completely serene on the bench even though the Bulls desperately needed him on the court. He had the fastest recovery time of any athlete I’ve ever seen. How can you learn to relax like this? The point to this system of creating your own trigger is that a physiological connection is formed between the routine and the activity it precedes… Once the routine is internalized, it can be used before any activity and a similar state of mind will emerge. The next step of the process is to gradually alter the routine so that it is similar enough so as to have the same physiological effect, but slightly different so as to make the “trigger” both lower-maintenance and more flexible. The key is to make the changes incrementally, slowly, so there is more similarity than difference from the last version of the routine. This way the body and mind have the same physiological reaction even if the preparation is slightly shorter. What type of practice produces peak performance? « Is life really better for beautiful people?